It’s true. The Food and Drug Administration sets “#food defect action levels,” the maximum levels of natural or unavoidable defects in foods — like how many insects or rat hairs are permissible. WHY ALLOW ANY DEFECTS IN FOODS? The action levels were created because it’s “economically impractical to grow, harvest or process foods that are totally free of safe, naturally occurring, unavoidable defects,” says Barry Swanson, Ph.D., professor of food science and nutrition at Washington State University in Pullman. 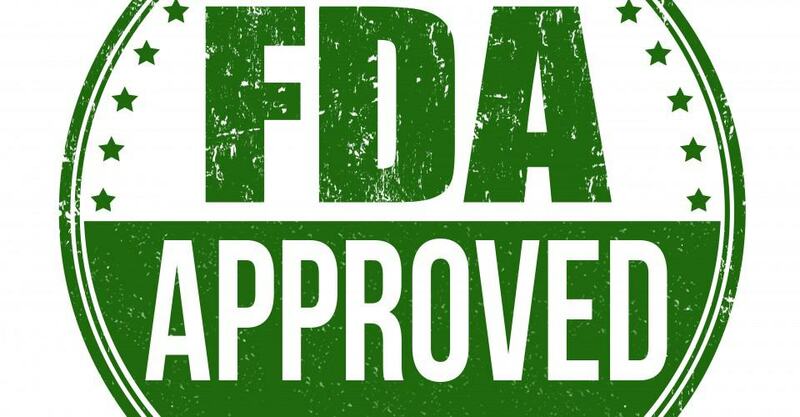 In fact, the #FDA action level defect guidelines say: “The alternative to establishing natural defect levels in some foods would be to insist on increased utilization of chemical substances to control insects, rodents and other natural contaminants. The alternative is not satisfactory because of the very real danger of exposing consumers to potential hazards from residues of these chemicals, as opposed to the aesthetically unpleasant but harmless natural and unavoidable defects.” In other words, to have no defects, you would have to use more chemicals, and foods would be less healthy. It’s been estimated by an Ohio University fact sheet that we actually eat 1 to 2 pounds of insects each year, unintentionally. “They’re actually pretty healthy,” says Philip Nixon, Ph.D., an entomologist at the University of Illinois. Insects are a regular part of a balanced diet throughout most of the world, with the exception of Europe and North America. They have nutrients, are high in protein and low in fat. And, “If we were more willing to accept certain defect levels such as insects and insect parts, growers could reduce pesticide usage. Some of the spraying that goes on is directly related to the aesthetics of our food,” adds Nixon. “Not at all,” says Manfred Kroger, Ph.D., a professor of food science at Pennsylvania State University. They’re basically processed filth, meaning they have been sterilized. 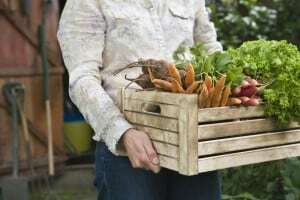 “Let’s face it,” he says, “much of our food comes from nature, and nature is not perfect.” And that means it has some level of contamination (mold, insects, rodent hairs or excrement). However, “This is more about how the food looks and what people think than about #health,” says Stephen Pintauro, Ph.D., a professor of food science at the University of Vermont. These defect guidelines cover any foods exposed to biological contamination, as well as foods attractive to insects or microbes that the consumer may not see (like popcorn, tomato products, spices, raspberries, blackberries, strawberries, peppers, mushrooms, cornmeal, tree nuts and dry legumes). The list compiled by the FDA includes about 105 foods. When you look at the list, it seems almost random. But according to the FDA, these foods are picked “whenever it is necessary and feasible to do so,” which basically translates to the foods that come up with problems most frequently. Does this mean that other foods don’t have defects? No. “Almost all foods have defects. In fact, the only food that might have virtually none is infant formula, because of the way it’s processed,” according to Pintauro. “Action levels” are the point at which the FDA starts an investigation and decides what action is warranted. But if these are the upper limits allowed by law, what can we expect to find in our food? Well, that depends — if you ask the FDA, it’s about 10 percent of the action levels, but other experts argue it could be as high as 40 percent. Action level: An average of 225 or more insect fragments and 4.5 rodent hairs per 225 grams (an 8-ounce serving). Action level: An average of 75 or more insect fragments and one or more rodent hairs per 50 grams. Example: A 2-pound bag can have as many as 1,344 insect fragments and 18 rodent hairs. Action level: An average of 60 or more aphids and/or thrips (insects) and/or mites per 100 grams. Defect: Mold, insects and insect eggs. Action level: Ten percent average mold count or more, and five or more fruit fly and other fly eggs or one or more maggots per 250 milliliters. Example: No more than five fruit fly or other eggs or one maggot per 8-ounce glass. Defect: Fruit flies and maggots. Action level: An average of 30 or more fly eggs, or 15 or more fly eggs and one or more maggots, or two or more maggots per 100 grams. Example: If a typical jar is 26 ounces, there can be as many as 220 eggs per jar. Defect: Insect filth and rodent filth. Action level: An average of 475 or more insect fragments and two or more rodent hairs per 50 grams. Example: In every teaspoon, you could find as many as 27 insect fragments and about a tenth of a rodent hair. Action level: An average of 50 or more aphids, thrips and/or mites OR 2 or more 3 millimeters or longer larvae and/or larval fragments OR spinach worms (caterpillars) whose aggregate length exceeds 12 millimeters present in 24 pounds OR an average of eight or more leaf miners of any size per 100 grams OR an average of four or more leaf miners that are 3 millimeters or longer per 100 grams. Example: A 10-ounce box of frozen spinach can have no more than 142 insects or mites or 22 caterpillars. Action level: An average of more than 50 thrips per 100 grams. Example: Two tablespoons of sauerkraut can contain no more than 15 thrips. Action level: An average of 5% or more cherries are rejects due to maggots. Defect: Insects and insect eggs. Action level: Ten or more whole or equivalent insects and 35 fruit fly eggs per 8 ounces.